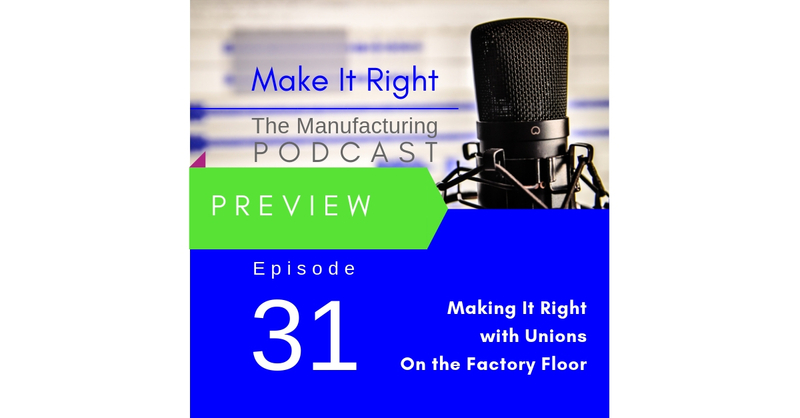 Coming up this week on the Make It Right podcast Jan Beunder shares the labour/employee relations insights and experiences he has gained working in senior manufacturing and supply chain leadership positions in Europe, Asia Pacific and the US. He talks about the variety of roles unions play in factories around the world and how, depending on how you work with them, they can be a hinderance or help to the success of the factory. Full show coming Friday! Episode 30: May the 4th Industrial Revolution Be With YOU!